At a workshop in the Learning Resource Center on Tuesday, American River College instructional assistant Cheryl Howell explained how color coding can help with both studying habits and daily life. Howell, who works for Disabled Student Programs and Services (DSPS), separated the benefits of highlighting and colored writing into three parts: organization, memorization and concept formation. Organization came before anything else. “As soon as you have stress, your brain isn’t paying attention to learning, the two don’t go together. So, organization is the pathway to learning,” Howell said. She littered her whiteboard with examples, like assigning different colors to plants and animals in a paragraph on the board and going down a multiplication table by using markers that complimented each other. Studying mathematics could be made especially easier according to Howell, as long as the person starts from the top downward. Concept formation and memorization went hand in hand throughout the workshop, on from organization. “If you’re going to use color coding, the most important thing to tell yourself is why something is blue. Why something is red. It’s in that connection that your brain is able to remember it and apply it,” Howell explained. 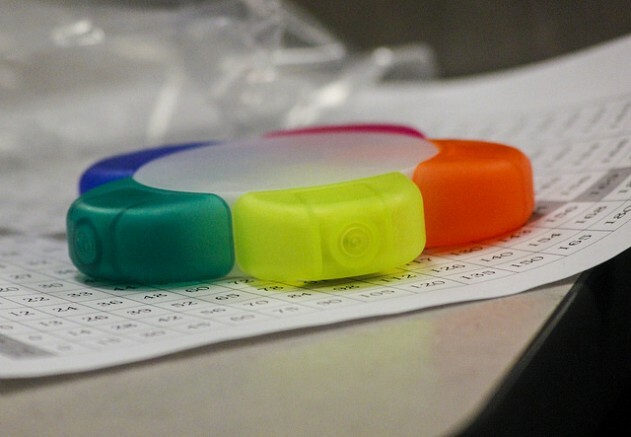 When Howell asked if any students attending already used color coding, Sandy Xiong spoke up, saying “I use it every day,” and that she’d usually go back after classes and highlight terms. Something that Howell was a strong proponent of throughout the workshop was the Google Calendar app. “It’s an amazing tool,” Howell said. When asked if the workshop had been helpful afterward, Luis Ferreira, an attending aerospace engineering major, agreed. Claire is a second-semester student on the Current, where she serves as a copy editor. She is majoring in journalism and plans to transfer to either a trade school or university. Be the first to comment on "LRC workshop teaches using color to organize studying"